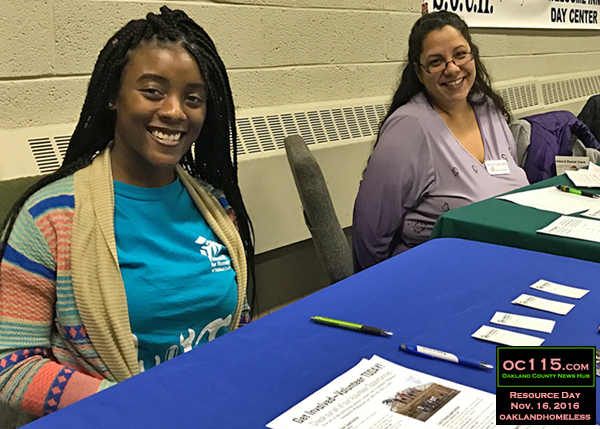 Royal Oak, MI – Once a year the work that Leah McCall and others at Alliance for Housing of Oakland County do year-round gets laid out in an inspiring in-person kind of way. 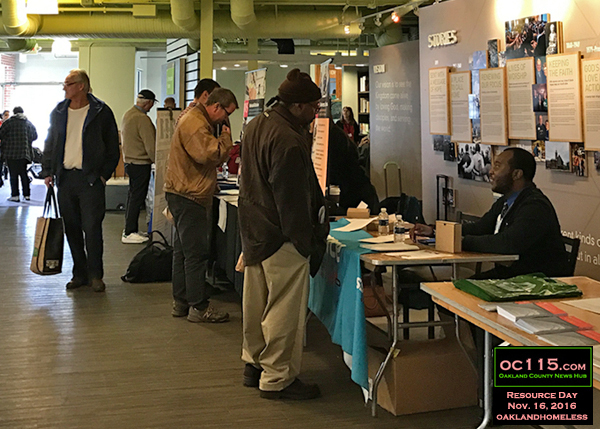 The 40+ agencies that are part of OaklandHomeless.org are normally connected by email, phone and meetings. But once a year they come to Resource Day. This year they were tucked away in every corner of the Genesis Church in Royal Oak, connected like the combs of a beehive and buzzing with collaborative energy. Common Ground, Easter Seals, HAVEN, HOPE and dozens others were part of the Nov. 16 event. 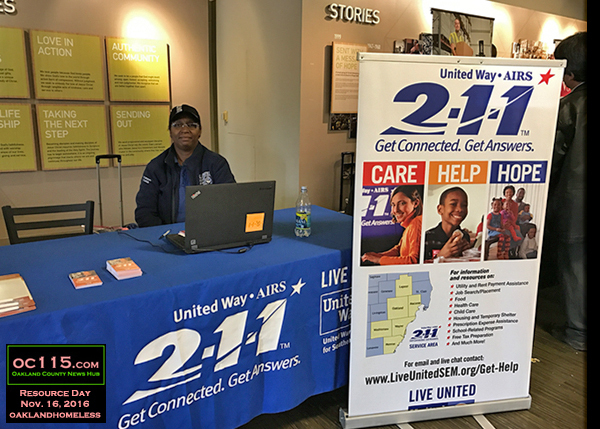 The groups shared information with hundreds of homeless and low income people looking to see what help is out there. 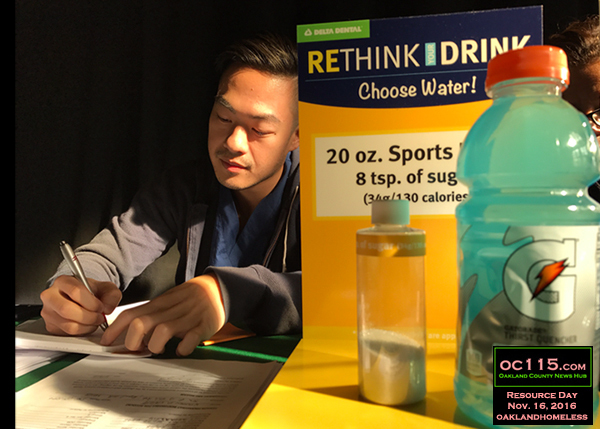 They shared resources with professionals and activists. And they networked among themselves, helping to create relationships and collaborations. 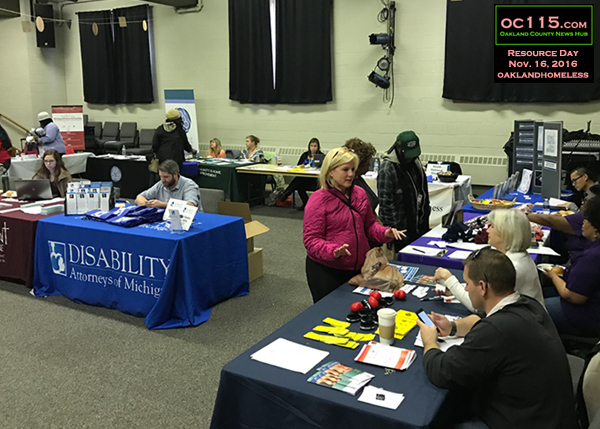 At one of the tables, Independent Living Specialist Miriam Green of Disability Network Oakland and Macomb talked about her work helping people navigate the challenges of bureaucracy. “A lot of times we have relationships with people at those agencies, so if it seems like someone is having trouble, we know how the process works and who to get a hold of,” Green said. The best part of her job, she said, is seeing people able to move somewhere they can live safely and independently regardless of what challenges they may face. For Amy Fullbright, Client Coordinator at Furniture Bank of SE Michigan, the joy comes in being able to provide furniture to families. “It’s a blessing to be able to help families in need,” Fullbright said. “It’s hard because the demand is so high. 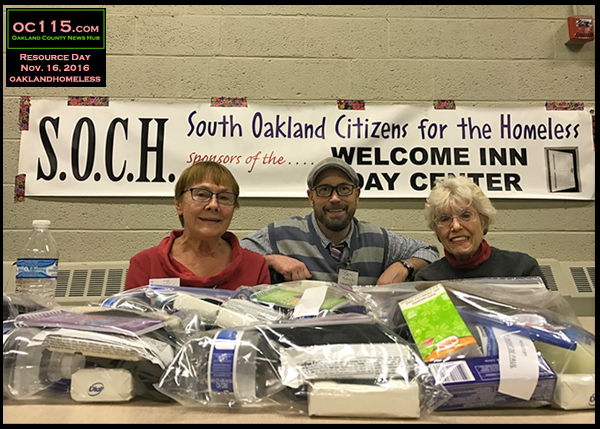 We went from 9 beds needed to 89 beds needed, so we are desperate for beds and mattresses” They also accept dressers, appliances, couches, chairs and other furniture that is free of damage or stains. And they’ll pick up anywhere in Oakland County and parts of Wayne and Macomb. 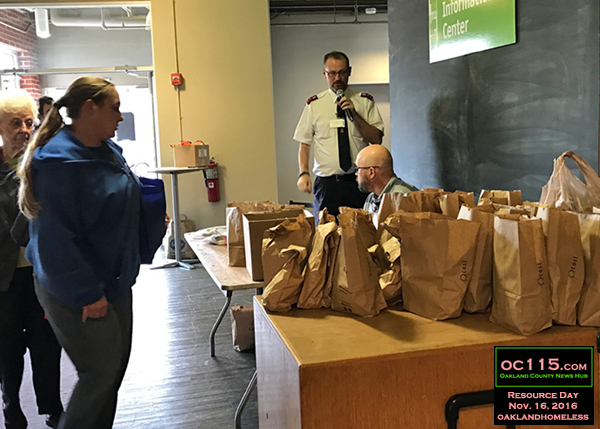 She and other volunteers handed out baggies with a clean pair of socks, snacks, toiletries and supplies, as well as information about Welcome Inn. Reginold said that that Welcome Inn people can have breakfast and lunch, they can be taken to the YMCA for showers, and to the laundromat. “Everyone at Welcome Inn has to meet with a social worker. They help them get their IDs and help them get other services. A number of people were able to get social security and to get their own apartments,” Reginold said. 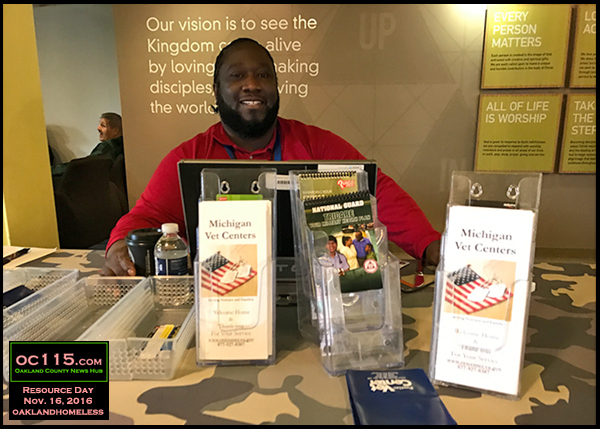 The Welcome Inn recently moved from Starr Presbyterian Church in Royal Oak to Covenant Presbyterian Church at 21575 W 10 Mile Rd. in Southfield. They have a bus that can take individuals to and from the rotating South Oakland Shelter locations. 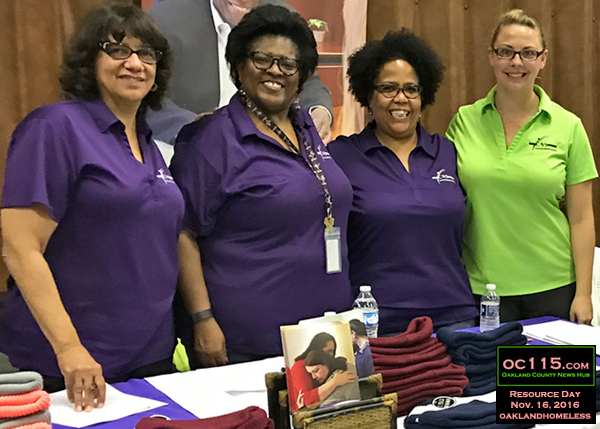 They are an independent organization, yet they are well connected with those who serve homeless people. 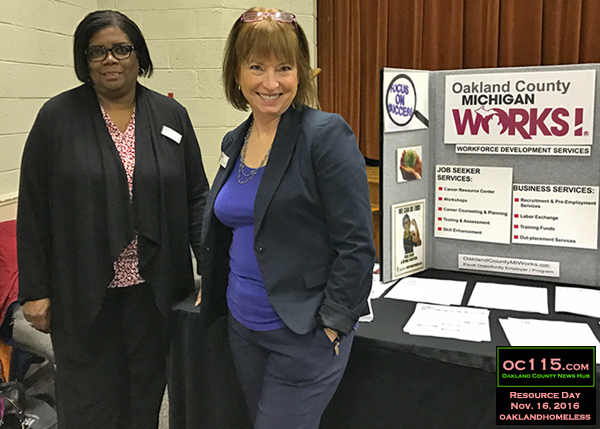 For the most up-to-date information and resources see http://oaklandhomeless.org/.